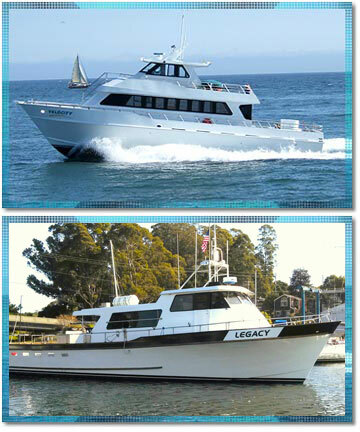 Velocity is available for private group charters. To inquire, please CALL 831-427-0230 or email us at info@stagnaros.com. Private half day or twilight cod. Velocity may be chartered for any occasion - $545/hour - for any occasion including scenic and sunset cruises, private parties and ash scatterings at sea. Call and ask about school and company discounts for some trips and dates. 50% deposit required on all Group Charters. 14 day cancellation notice required for refund.